services - Marin Express Lube | You Ride On Our reputation!Marin Express Lube | You Ride On Our reputation! Well check your fluids to see if they still have the protective properties for your cars various operating systems. Cooling, air conditioning, power steering, braking, automatic transmission, engine, and others. Fuel Injection Service Coupon Guaranteed to Save Gas Improve your vehicles MPG Direct clean of injectors to remove carbon build up. Remove throttle plate intake boot and clean throttle plate to avoid sticking. Road test vehicle at completion. For some fluids, just draining the old fluid and replacing it just doesnt cut it. Often it is more effective to completely flush out the old fluids, clean out the system and then refill it with clean and protective fluids. We provide this service for all your automotive systems. 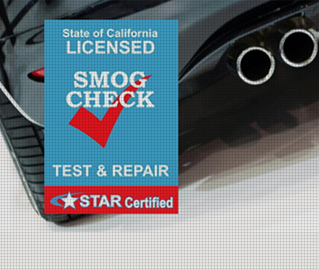 We utilize state-of-the-art equipment and contemporary standards to diagnose your cars troubles. Coupled with our experience and our industry computer resources, we quickly diagnose and repair your car and get it right the first time. Your vehicles manufacture has established specified intervals and levels of service for your vehicle. For the most part we agree with what your manufacture has specified for your vehicle. However we do not agree with most oil change intervals specified by the manufacture. 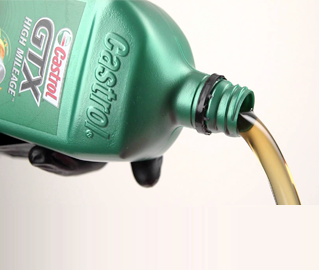 And with good cause and for the following reason: The quality of synthetic oils have gotten far better over the years and they don’t really deteriorate easily – they just get dirty with carbon particles. Oil filters have gotten smaller and load up faster and have reduced filtering capacity. The result is that they load up quicker and a bypass check valve opens at higher engine speeds to allow unfiltered oil pass through the engine with carbon particles in the oil to wear out your engine faster. There are many reasons for a “Check Engine Light” or in the case of BMW’s a “Service Engine Soon” Display. Most check engine light codes are generated from problems in “The Evaporation Control System”. The problem can be as small as a fuel tank cap that didn’t get tightened down properly after refueling. Engine Performance, Transmission Performance and problems in Suspension Performance. Because we specialize in your vehicle and see many of them we apply “Pattern Failure Analysis” to reduce the diagnostic time on your vehicle AND save you money in the process! So what is “Pattern Failure Analysis” you might ask! Simply put – because we specialize, we have seen the same pattern failures in many of the same vehicles – therefore reducing our diagnostic time and saving you money. It’s not the hourly rate the shop charges, it’s the level of expertise and how quickly they can get to the root of your problem that should be your concern. We handle all aspects of computer diagnostics on your vehicle. From module programming to communication problems between modules on the CAN Data Bus System (basically a network communication within your vehicle) We identify communication problems between modules (small computers) and re-establish communication between them. Your vehicle will preform better with communication paths restored. There are questions you need to ask yourself – are you shopping for price or quality or both. Is the shop your are getting the price quote from using OEM Parts or aftermarket parts? Make sure you are shopping apples for apples when getting price quotes. And this includes not only the parts being used, it includes the competence and quality of the work from the person working on your vehicle. Nobody wants to pay too much for service or repair, however, buyer beware of the lower price quotes. You can’t get OEM parts and “Factory Trained Master Technicians” working on your vehicle for the lowest price quote. SOMEWHERE IN THE MID RANGE OF QUOTES IS WHERE YOU SHOULD BE SHOPPING! if shopping for a specific service or repair! Shopping for a diagnostic quote is near impossible. Here you should be shopping for expertise and not hourly rate. Please see our explanation under DRIVABILITY PROBLEMS. At Main Express Lube offers to qualified applicants auto repair financing. If you cannot afford your auto repairs let us know and you can apply for financing.